At various points in the past few years, Downtown has been the most talked-about company in the music business. Such gossip was more fevered than usual last April, when the New York-born publisher acquired over 170 Ryan Tedder copyrights, including cuts on hits by Adele and Beyoncé, for a reported $65m+. Downtown has also set tongues wagging by signing a deal with global star Niall Horan, expanding its operations into Japan (by partnering with local giant Avex), France and Australia and acquiring Nikki Sixx’s complete Mötley Crüe publishing catalogue. Downtown’s UK base, meanwhile, has certainly been no slouch in the attention-grabbing stakes. That was especially true back in February last year, when it signed a global deal with former Sony/ATV golden child Naughty Boy – who has enjoyed multi-platinum success during his career with the likes of Emeli Sande, Beyoncé and Sam Smith. Downtown officially upped its game in the UK back in 2015 with the acquisition of Eagle-i Music, the independent publisher which administered the likes of Brian Jonestown Massacre, Deep Purple and Sir George Martin. At the time, it looked like an intriguing move from Eagle-i boss Roberto Neri, who is now established in his third year as Downtown’s UK MD. Eagle-i was previously part of Eagle Rock Entertainment, the music video production specialist which was acquired by Universal Music Group in 2014. So why did Neri (pictured) halt the ascent of his successful, self-sufficient indie in order to team up with US-based Downtown and its CEO Justin Kalifowitz? “After Eagle Rock sold we had great clients and great staff at Eagle-i, and the business was funding itself,” explains Neri. “But to really take it to the next level, we needed to team up with someone who could help us pitch for the big deals. He adds: “I’d met Justin at Midem a few times and I knew he was on to something. We were both doing things in parallel with each other, like striking direct society memberships – just thinking outside of what traditional publishers were doing. Since landing at Downtown, Neri’s UK team has made some major A&R moves, including the competitive signings of both Naughty Boy and Saltwives. Saltwives, aka Alex Oriet and David Phelan, have written for the likes of ZAYN, Iggy Azalea and Bebe Rexha, and arrived at Downtown via the firm’s partnership with production team The Invisible Men. Last summer, Downtown UK hired two respected British A&R figures: Daniel Lloyd Jones joined as SVP, Global Creative Services and Head of A&R from Sony/ATV, while ex-Roc Nation exec Jacque O’Leary was named Senior A&R Manager (pictured inset with Neri). In addition, Downtown UK has invested heavily in expanding its operational side since the Eagle-i buyout. The firm recently launched a London-based Neighbouring Rights division, with clients including Ennio Morricone. 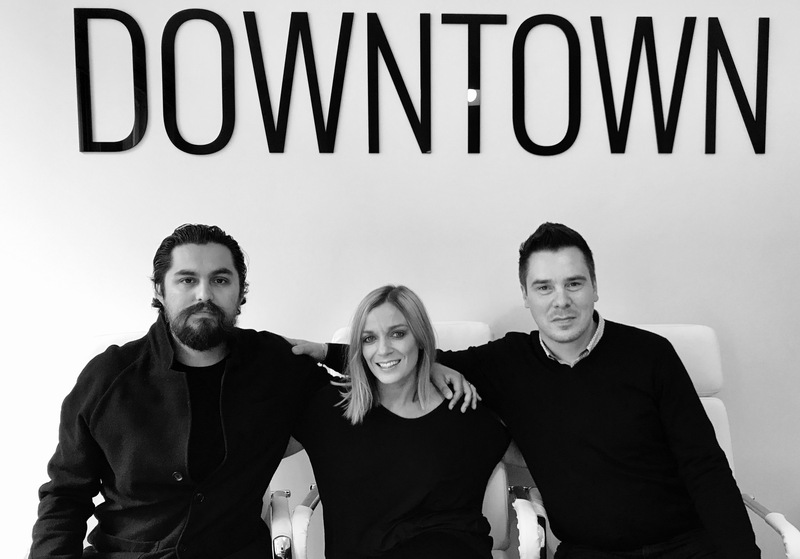 Separate to Neri’s Covent Garden-based operation, Downtown recently made another major international announcement by bringing online publishing admin platform Songtrust to Europe, based in Amsterdam and run by former Fintage House exec Mandy Aubry. “For the right deal, we can be as competitive as anyone out there, as some of our signings have demonstrated,” says Neri. “We’re extremely excited to have brought in Dan and Jacque, with the calibre of international experience they have, and that’s only going to help us compete even harder. Our creative staff can offer exactly what any kind of client needs. “Yes, we can match the cheques being offered by anyone in the marketplace, but what’s really important to us is that songwriters actually want to come to Downtown thanks to the combination of what we can bring to their careers. Neri got his big break in the UK business at family-run independent Bug Music, which was turning over around $80m a year when it was sold to BMG in 2011. LA-based Bug was a pioneer of the administration deal which has since become commonplace in music publishing – and a cornerstone of Downtown’s approach. Neri joined the tight-knit team at Bug in 2003 as Group VP of International and UK General Manager – absorbing the writer-first philosophy of Bug founder, Dan Bourgoise, over the next eight years. At the time, Bug managed more than 250,000 copyrights for writers such as Johnny Cash, Bruno Mars, Willie Dixon, Kings Of Leon, Muddy Waters, Woody Guthrie, Wilco, Stevie Ray Vaughan, Pete Townshend, Iggy Pop and Ryan Adams. “I’ve always lived in the world where the songwriter is at the centre of everything,” says Neri. “At Bug we worked on very tight margins – that was the business model, because it put the songwriter first. Before working at Bug, Neri started his industry career at PRS For Music (then the MCPS/PRS Alliance) working as a junior exec in member services. The full-circle journey of Neri’s promotion earlier this year to the PRS board is not lost on him. Although he bemoans the continued prevalence of ‘middle men’ clogging up the global royalty distribution plumbing, Neri is cautiously complimentary about the UK’s biggest performance licensing organisation. Neri set up a direct digital licensing deal with ICE – the EU-based JV between PRS, GEMA and STIM – earlier this year for Downtown’s tech platform Songtrust. He is strongly convinced of the growing power of the independent publishing sector – especially considering that, according to statistics from Music & Copyright, non-major publishers brought in 41% of global revenues in the sector worldwide last year. 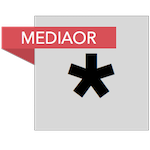 “We, as publishers – and then as independent publishers – are often the last to negotiate with streaming services at the moment, but that’s going to change,” predicts Neri. “The songs we represent mean too much to consumers of Spotify, Apple, Amazon or YouTube for them to ignore us. “As the independent market share increases, these services will have to start negotiating with us sooner rather than later. “Looking at the projected rise in streaming numbers in the recent Goldman Sachs report, it seems obvious where this business is going in future – and that publishing will be very attractive for investors. As for Downtown, Neri is looking at the global overview to help bring the publisher’s operation into key emerging markets. He keeps firm details about any potential expansion under his hat, but tells us: “Downtown prides itself on offering real worldwide coverage for our clients, so we are monitoring these emerging markets very carefully. “There’s a lot of talk about China and India in the business at the moment, but I believe Africa is possibly the most exciting place for the future of the music business. The same could be said, of course, for Downtown itself. “We know the word’s getting out,” says Neri. “We are very confident that we have the right mix between technology and creativity here, and that we can provide the necessary attention our writers need. “You do hear that at some other places, clients don’t ever get a call from their publisher – they aren’t even congratulated when they’re No.1. Hearing things like that upsets me on a personal level, let alone a business level. The above interview originally featured in Music Business UK magazine – a premium quarterly title from the MBW team which is available via an annual physical or digital subscription.